We're all for celebrating love at Dale's Fried Pies, but we're not big fans of needing reservations weeks in advance, busy restaurants and "special" Valentine's Day menus that serve only to charge you more for the same thing you'd normally get. If you're like us and want to avoid the fuss, join us at the Bearden Beer Market, where we'll be set up along with the fabulous Tootsie Truck folks to meet all your sweet, savory and beery needs! Stop by and grab some food to go along with a growler for a sweet night in, or come and hang out in the Yazoo room for a low-key Valentine's date. Either way, we'd love to see you! I'll be at the Beer Market on Thursday, February 14th from 5:30-8:30 pm! 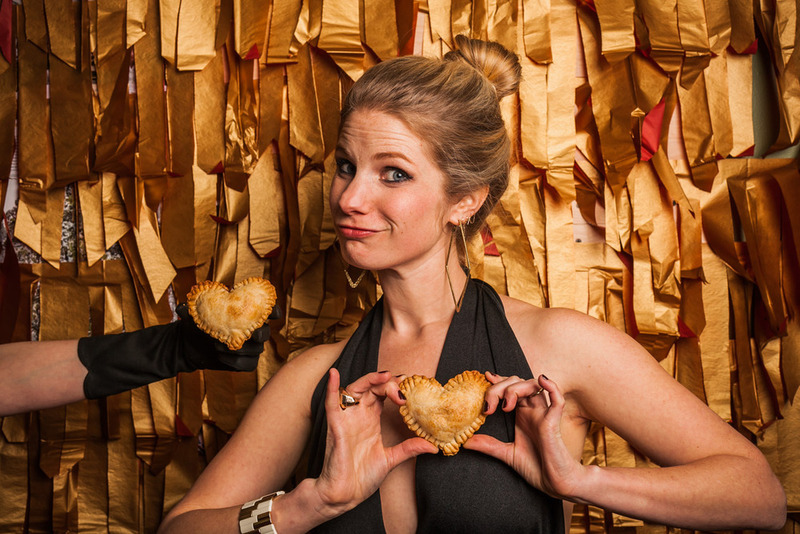 We're featuring strawberry nutella, chipotle mac & cheese and some fun heart-shaped cherry cheese pies! Same price as always, no reservations needed! If you want to make sure to get some heart-shaped pies for your sweetie, shoot us an email at dalesfriedpies@gmail.com to arrange for delivery or pick-up at the Beer Market!